Usually during this time of the year my skin tends to be more oily because of increased heat and humidity, but for some reason I've still been dealing with a lot of dryness. 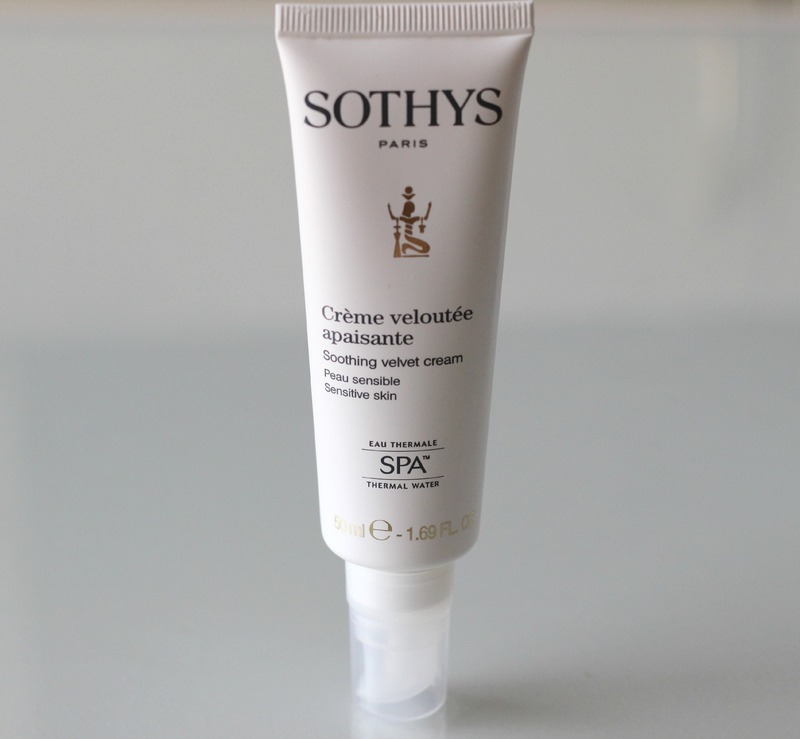 Despite trying out a few different products, nothing has helped as well as the new Sothys Sensitive Skin Line*, namely three of their products: the Soothing SOS Serum, Soothing Velvet Cream and Nutri-Soothing Mask. They all contain natural mineral spring water from a protected environment in Belgium, which is also the main active ingredient in this line. This water has been used by spa visitors in the area for over six centuries, and Sothys wanted to develop a range that would benefit the skin by including this active water because of its low mineral content and similar pH level to our skin. 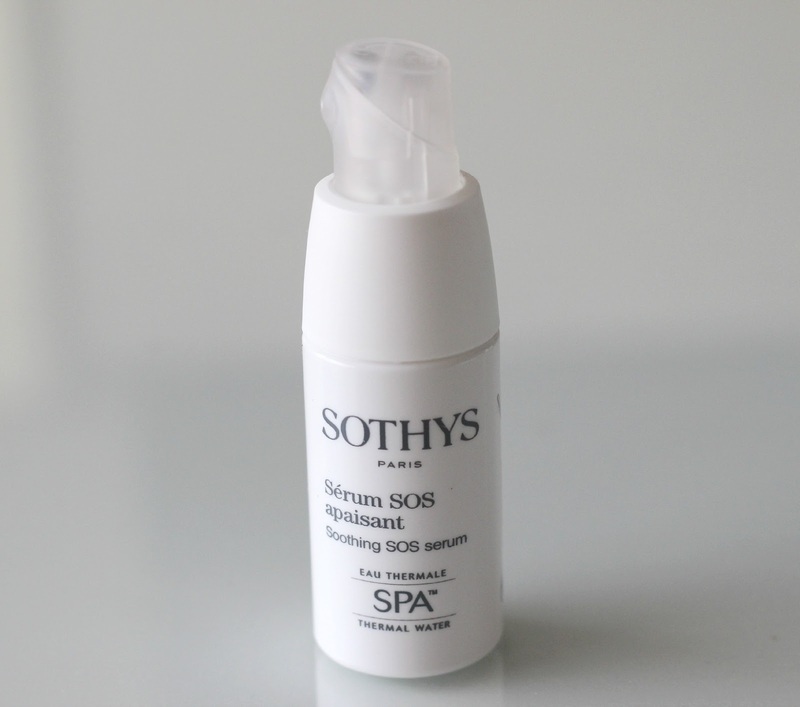 The first product I started using is their Soothing SOS Serum (20 ml, C$79.50). Most serums I have tried are clear, but this one is white and fades nicely into the skin. 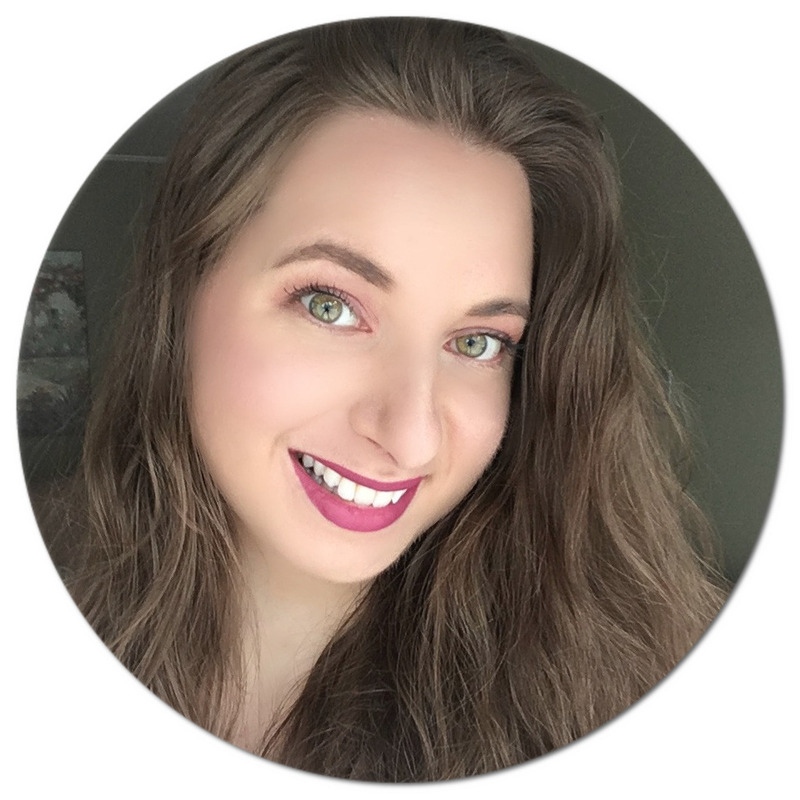 It feels very lightweight and my skin immediately absorbs it, literally within seconds. It doesn't leave a tacky or sticky feel. As most serums, it is great applied beneath a moisturizer or night cream as it will help other products you apply on top work better. The pump dispenser helps you control the amount that comes out, and I only need 1-2 full pumps to cover my entire face and neck area. Next, I apply the Soothing Velvet Cream (50 ml, C$86.50) on top. 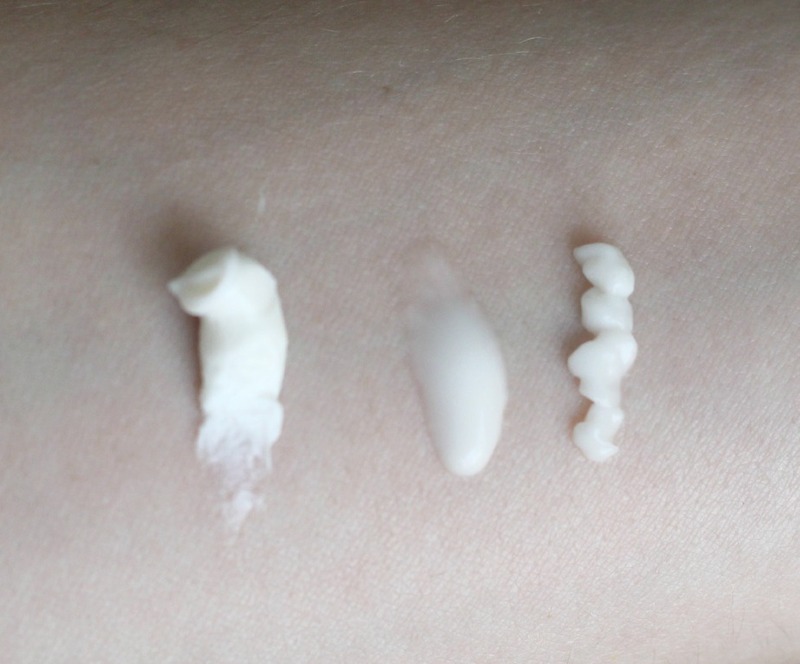 The texture is very similar to the serum, fluid but slightly thicker. I've been using this one morning and night and my skin has been loving it! The dry patches I've been dealing with are gone, and every time I use it my skin feels immediately replenished with moisture. This one also comes in a convenient pump tube. Whenever I deal with a bout of dry skin, it can feel itchy and tight so this has really helped remedy these problems. 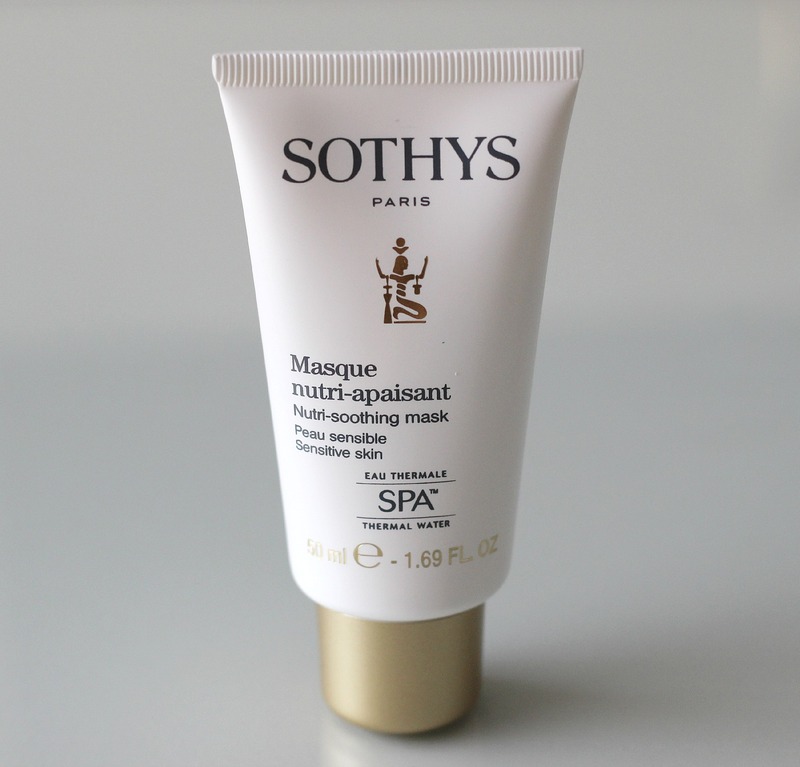 Finally (and my most favourite), the Nutri-Soothing Mask (50 ml, C$63.50). I've never tried anything like it - it basically feels like a balm and is not drying like many masks are. Instead it feels like an ultra thick cream. You can actually use it two ways - leave it on your skin for 10 minutes and rinse it off with water, or rub in the excess for long term hydration. I use this mask twice a week for immediate dry skin relief because it is so rich and potent. I skip using any other skin product when using this one because it works best on its own. If you are someone who deals with redness or itchiness from dry skin, this skin line will provide great relief. It is free of fragrance and colorant and also hypoallergenic. The range is quite pricey, especially considering that these bottles are comparable to travelsize quantities. I am really pleased with the results after using them consistently for the last month or so, but I think there are many alternatives that will be easier on the wallet too. 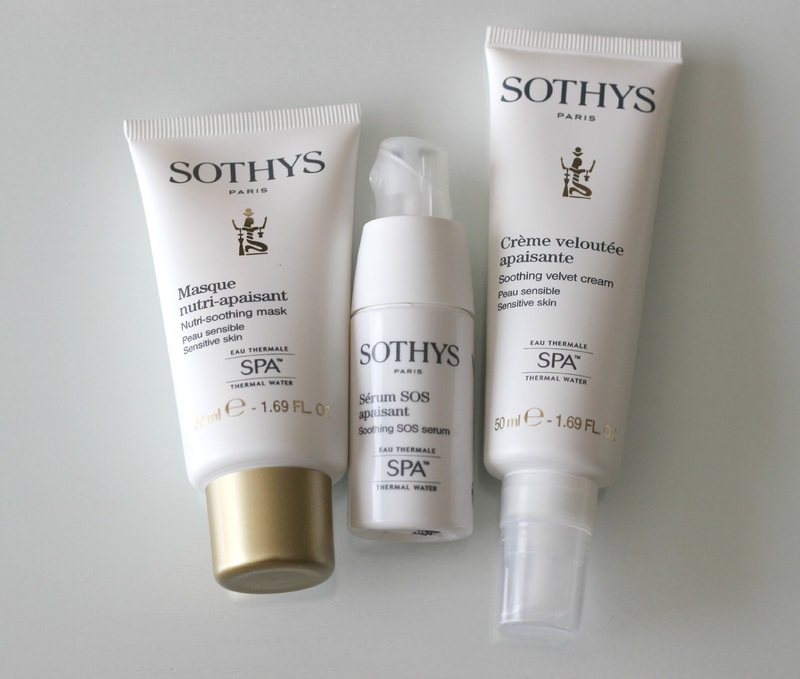 You can purchase the Sothys Sensitive Skin Line from Sothys beauty consultants and spas across Canada. To find one in your area, you can call the toll free number 1 800 361-3004. Do you spend a lot on skin care? Would you try these? *Disclaimer: Products were provided and reviewed in accordance with my Disclosure Policy. I never heard about this brand and it's really expensive. I don't think to spend my money for them. Thank for the review. This sounds like a perfect skincare line for my sensitive skin. It is pricey, but would be well worth it if it helped reduce the redness and sensitivity I have. I plan to order a few products and will check back with you to let you know how I liked it. I've never heard of this brand. Thank you fr this lovely review! I ve never tested these products! looks like a great brand. I've been having the same types of trouble with my skin lately too. I'm always more oily in the spring/summer but for some reason this year, I've had dry patches on my chin, etc. I have problem areas that this skincare line would help me with, my main problem is I have very sensitive skin, so finding the right products that work is always hard for me. My face is always so dry, especially on my forehead and my nose, the mask would be awesome to try. This is the first time I hear about this brand, have to see it's pretty expensive! But I do believe it's an excellent product, natural mineral spring water sounds like a great main ingredient! These products sound amazing for people with dry skin and I was thinking I bet they great products for oily skin like mine then I saw the price and quantity of product and decided it best I not find out. But they do sound great. Thanks for the review. I've have never heard of this brand before but certainly looks like some great products that I would love to try. I love this brand.. . I have been using this brand for quite some time, as an aesthetician on my clients and my family. Excellent results. I have never heard of this brand but I do have very sensitive skin. I will have to check this out. These products sound amazing! I, myself, haven't yet tried any of these products but I think I may in the near future. Body Butter Loving | My Current Favourite! Easy Minimal Makeup Look | 6 Products Total!